If you're looking for something that comes at a highly affordable price and can save you money. It's a very simple device that can locate coded problems in your vehicle that can then be looked up, allowing you to find the problem and solution for a given code. At this price, it's a device that is well worth trying out! This is one of the smallest scanners on the market. The connector for your vehicle is almost as big as the device itself. You can hold the scanner in one hand, and easily use your other hand to manipulate the navigation buttons. The screen is small and provides basic functionality while there are only two buttons to use, so using the scanner who’ll be easy and intuitive. 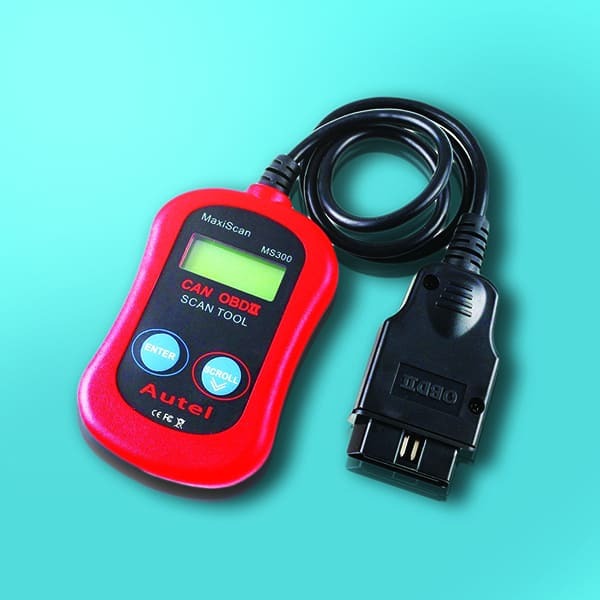 The scanner is connected to your vehicle through a cable. The device is also powered by your connection to your vehicle’s engine, so you will need to have your engine on to provide power to the device. This device is compatible with a wide range of vehicles. It is set up to deal with any OBD2 vehicles, and you will be hard pressed to find a vehicle which is not compatible with this device. This is one of the easiest-to-use devices on the market. The screen may be small, but this helps to condense the information into the data which you need, rather than clutter it up with additional information which may not be of use to you. The two-button navigation system also means that you are never lost. This device is fast; as soon as you plug it in, you are ready to go. It will also read codes in record time, allowing you to diagnose and fix any potential problems without having to wait around for the data and readings. ​The LCD screen is backlit, which means that you are able to easily see the presented data no matter what the light levels are. The device is also multilingual, and you can easily change the language to the one which best meets your needs. This is a cost-effective device and one which will save you a lot of money. Compared to other devices on the market, this one comes in as one of the cheapest (though it also has limited functionality). While there is limited functionality, there is still enough to be able to read codes and diagnose a variety of problems. This diagnosis is where you are going to save a lot of money. From the very first use, you are going to save more money than the unit costs; if you take your vehicle into a shop for a diagnosis, you are going to pay an arm and a leg. ​This device is small, compact, and light. When you are using it, you can easily carry it from place to place, and vehicle to vehicle. The small nature of the scanner also means that it does not take up a lot of room in storage or in transit. 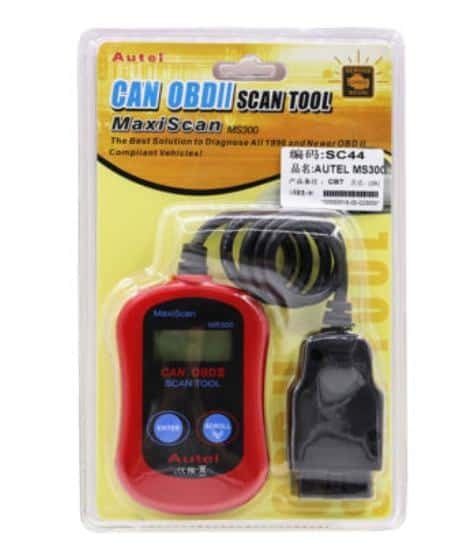 With so many tools and diagnostic devices around, it is nice to have one which is not going to take up too much space in your toolbox or weigh it down too much. This device has limited functionality when compared to other devices on the market. You get what you pay for, and while the cost is a big draw for this scanner, you should expect that you are not going to be able to diagnose complicated problems like more expensive devices will. You will also not get recommendations as to how to fix the problems. The device is limited by the data which it has stored. There is no access to live updates, as some other devices have which means that you have to wait for updates to be able to read and solve whatever problem you are facing. The good news is that Autel is generally great for providing updates to their devices. This may not give you the functionality of some higher-end models, but that is not what it is designed to do. This scanner has been designed with price and functionality in mind. You are not going to diagnose complicated problems, but for most cars out there, you will find that this device will save you a lot of money. 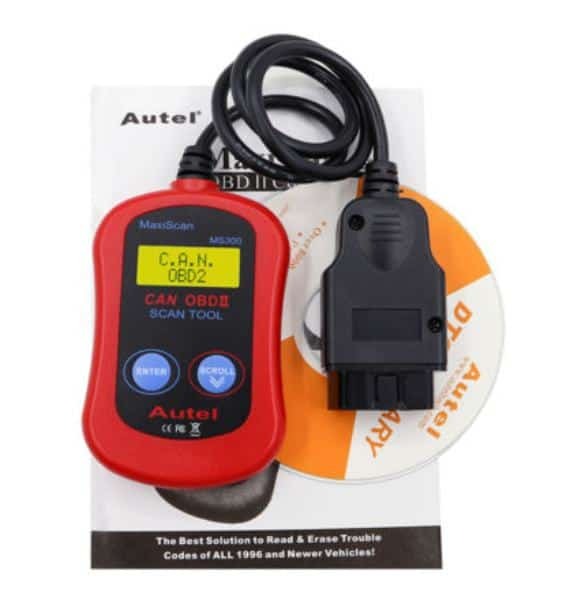 You will also find that it is compatible with a lot of cars on the market. This is a light and compact tool which will not set you back a lot of money.